Systems development that involves advanced analysis techniques, testing and validation. On April 11th at SAE WCX2019, Czero will present our innovative work with General Dynamics Land Systems. Czero and GDLS developed a powertrain architecture trade tool in MATLAB/Simulink for evaluating hybrid powertrains in tracked ground vehicles that is being used to shape next-generation hybrid powertrain development paths. As a key modernization priority for the US Army, this effort is focused on determining the optimal powertrain architecture which will enable and support next generation battlefield technologies. To learn more about the technology, read the abstract here or contact us anytime. Hope to see you at WCX2019. 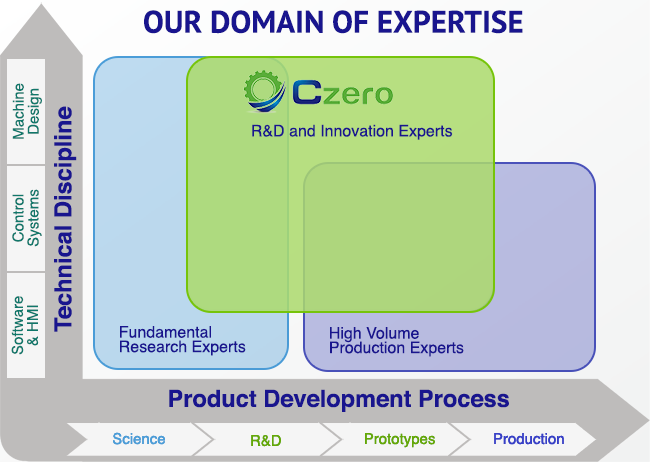 Whether your company is a local clean-tech startup or a global automotive giant, our team of innovators has the expertise, tools, and capabilities for turnkey project execution and successful delivery of an exceptional product. Learn how and read what our clients say about working with Czero.